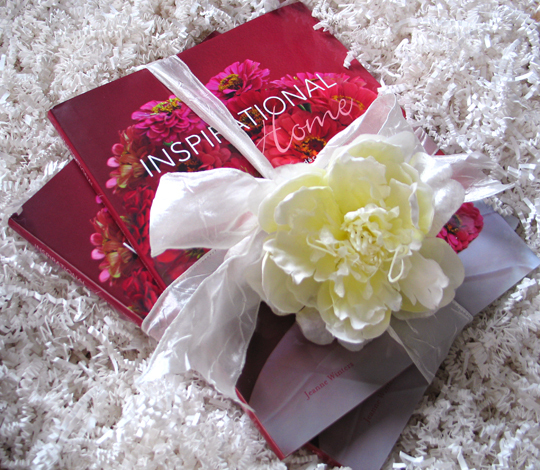 My book, Inspirational Home: simple ideas for uplifting decor and craft, was a "labor of love," as they say! It was birthed to encourage you to surround yourself and your family with God's loving words, to share those hopeful words with others, and to do it all with thoughtful style! I really hope you will use it as a fun resource for a long time. The 128 pages of design, craft and gift ideas all show how to infuse your faith into your home, celebrations and life! in unique ways. Every project comes with clear, colorful photos, step-by-step instructions and materials lists. You'll see how to create cheerful tabletop accents, artistic wall adornments, sensational floral arrangements and delightful favors. You can enhance your home with meaningful decor and joyful messages. Use these ideas to help your home be an encouraging oasis! Look inside or purchase Inspirational Home at Amazon. Look inside or purchase Inspirational Home at DaySpring. Look inside or purchase Inspirational Home at Barnes & Noble. "Wow! This book is so beautiful!" "What great ideas! I can't wait to make them." "Your book is so creative! I just keep looking at it - it's so pretty."